Thu 2/14 8pm-11pm. Live music, projection and fashion show enhanced with artisana chocoaltes and perfumes. 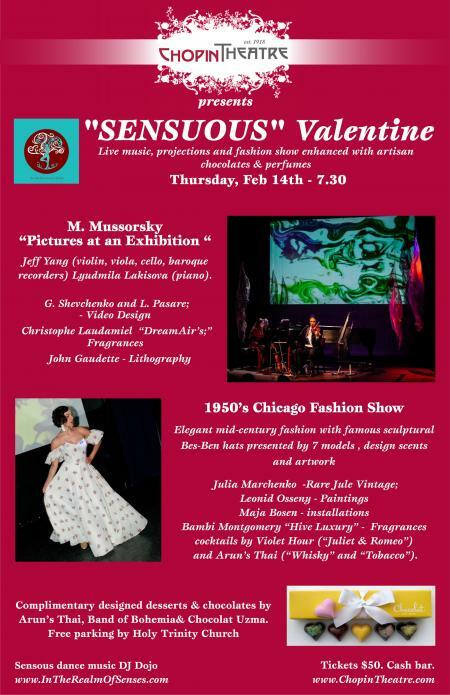 Valentine's Day - Indulge in a symbiosis of artisanal works featuring music, original perfumes, cocktails, chocolates, desserts, visual art, and fashion.